State Representative Janine Boyd, a lifelong resident of Ohio’s 9th House District, ran for office to help shift the tide back to policies that invest in working families by providing good jobs and high quality services, especially for those who need them most. 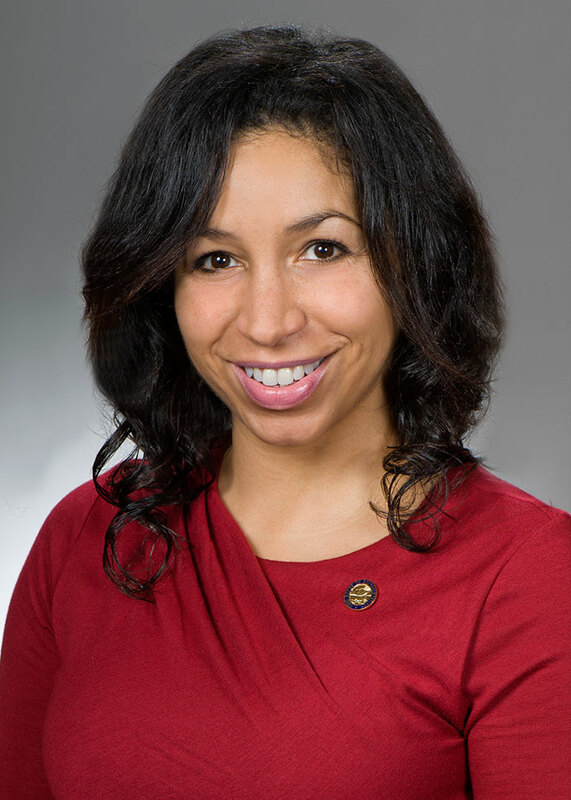 Boyd was elected treasurer of the Ohio Legislative Black Caucus, a role in which she will serve for the duration of the 132nd General Assembly. Aside from her role in shaping public policy, Boyd sits on the board of the Ohio Children’s Trust Fund – Ohio’s sole, dedicated public funding source for child abuse and neglect prevention – and is a trustee on the Board for the Heights Emergency Food Center. As a former Cleveland Heights council member, Boyd worked on a mentoring and juvenile diversion program and catalyzed the expansion of human rights laws to increase protections for members of the LGBT community. Boyd also served as an active as a member on the Joint Legislative Committee on Multi-System Youth, ensuring that young people have access to mental health, developmental disability and welfare services. With over 15 years of experience in health and human services advocacy and policy, Boyd has been actively involved in the state budget process on behalf of programs that serve our most vulnerable citizens – children and families facing poverty; seniors; children with special needs and mental health disorders; adults with developmental disabilities; victims of human trafficking; at-risk youth; and veterans. Through her experience with the budget process, Boyd has learned what it takes to affect change in Columbus and has developed strong working relationships with various state agencies. She has even gained unlikely support from her conservative counterparts in the state legislature, some of whom have become “champions” of her policy proposals and funding requests. She follows the longtime public service example set by her mother, Barbara Boyd. Janine believes it is her responsibility to continue her mother’s legacy while paving her own path toward making a positive change in the lives of our citizens.